It is the last day of my holiday on Orkney and later I will be catching a ferry back across the sea to Scotland. Yes, I know Orkney is technically in Scotland but, to the Orcadians, Mainland is the largest island on Orkney while Scotland is down south a bit. Before I leave I thought I'd post a few more photos I took earlier in the week (before I broke my camera). 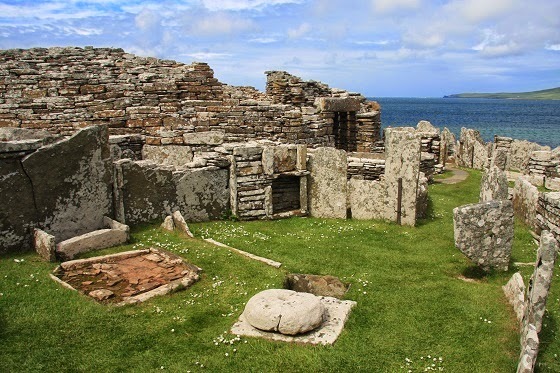 These pictures are of the Broch of Gurness, which is an Iron Age broch village on the northwest coast of Mainland Orkney. A broch is a stone tower that clan leaders would have lived in during the Iron Age in these parts. It offered protection in times of trouble and even in its current ruined state offered a nice sheltered spot from the wind to enjoy a picnic. 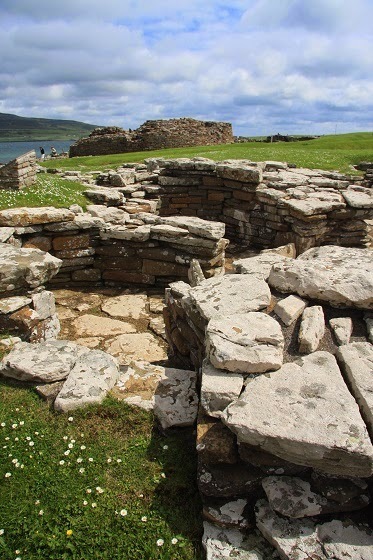 Surrounding the Broch of Gurness are the remains of other dwellings that are great to explore. It is yet another impressive historic site on an island full of amazing archaeology from ancient times.